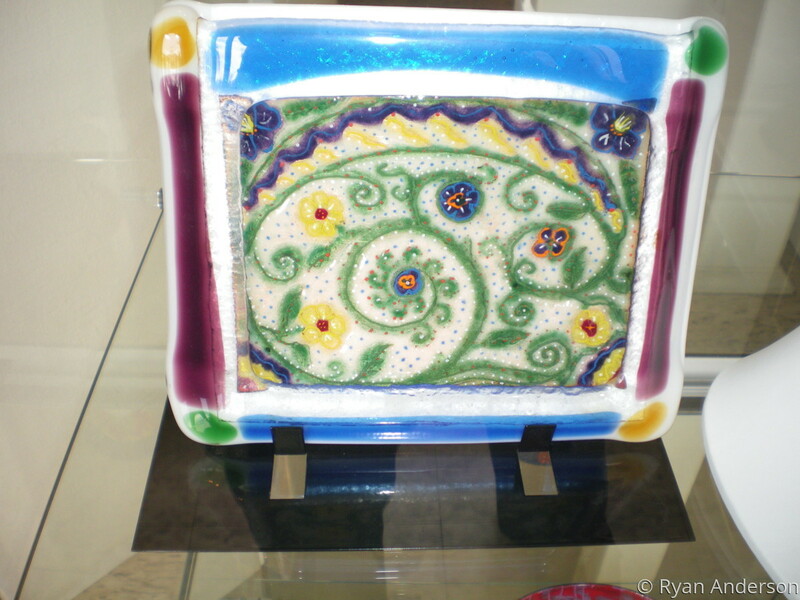 This is a one of a kind enameled copper panel in a custom made fused glass frame. It measures 8" wide by 7" tall by 6/8" deep. Price includes stand.